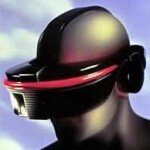 Our latest interview is with a former Sega VR helmet engineer (who has chosen to remain anonymous). In it, he details some interesting aspects of just why the fabled technology never made it to market, and he shows just how close they actually were to a viable product. It’s a ray of light on this otherwise dark patch in the history of the Genesis, so check it out! 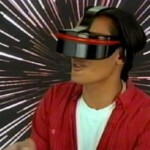 Sega was all set to jump into the virtual reality arena with a headset of its own, but the project was quietly put down. All that remains are some videos from the 1993 summer Consumer Electronics Show to illustrate what might have been. Sega-16 takes a deep look at Sega’s efforts on the VR front in the article Sega VR: Great Idea or Wishful Thinking, as well as the efforts of other hardware makers of the time.